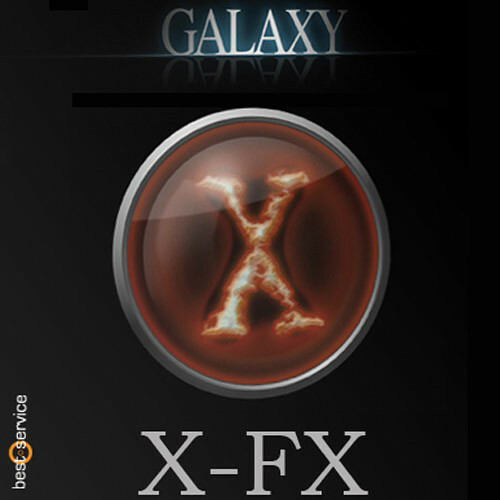 Available for download, Galaxy X-FX is a virtual instrument powered by the included Best Service Engine 2 player. This particular virtual instrument utilizes convolution synthesis, a method wherein a sound source is "melded" with a second signal to create a hybrid, or an entirely new sound. As such, this software gives you the ability to manipulate more than 3GB of effect-based samples into timbres geared toward adding emotional depth to a piece—without necessarily taking any particular harmonic bent. X-FX provides 313 ready-to-play instrument layers. However, with the engine's intuitive user interface, changing the timbre of an instrument layer—or creating a new one from the ground up—is eminently possible. X-FX works great for score music, games, ambient, chill, soundtracks, trance, electronic music, dance, pop, progressive, or experimental. It's compatible with Mac and Windows platforms, and can operate in standalone, AU, and VST formats.